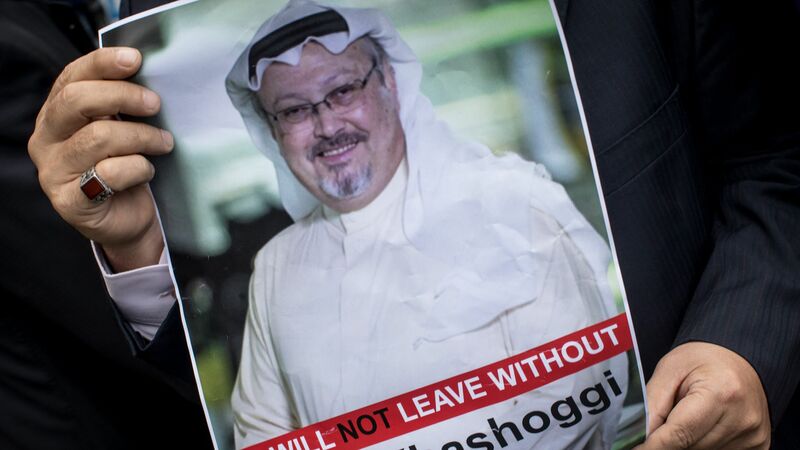 The State Department announced Monday that it would ban 16 Saudi nationals from entering the U.S. due to their roles in the murder of journalist Jamal Khashoggi. The big picture: The Trump administration in November had imposed sanctions on 17 Saudis under the Magnitsky Act, but had otherwise come under scrutiny for failing to respond with force to Khashoggi's brutal assassination at the Saudi consulate in Istanbul last October. The U.S. intelligence community has reportedly concluded that Saudi Crown Prince Mohammed bin Salman ordered the Khashoggi operation, but the Trump administration — which has maintained close ties to MBS through senior adviser Jared Kushner — has chosen not to directly retaliate against him.